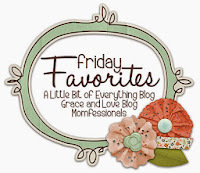 I took a break from Friday Favorites last week due to Birthday/Easter festivities, but I'm back! It's always SO hard to narrow my favorites down to just 5 things. No matter how hard I try, I just can't do it! 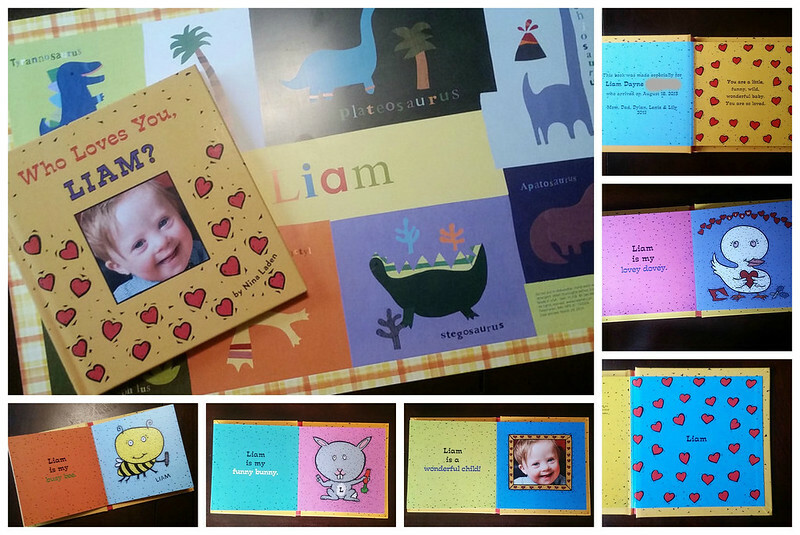 Personalized books and placemats from I See Me. I recently won a giveaway, and received both of these items. I'm in love!!! The placemat is adorable, and the book is a wonderful keepsake. There are personal touches on every single page. Liam loves his book and it's definitely something I will keep forever! Spending my birthday with some of my favorite people. I am so thankful for my family and friends! 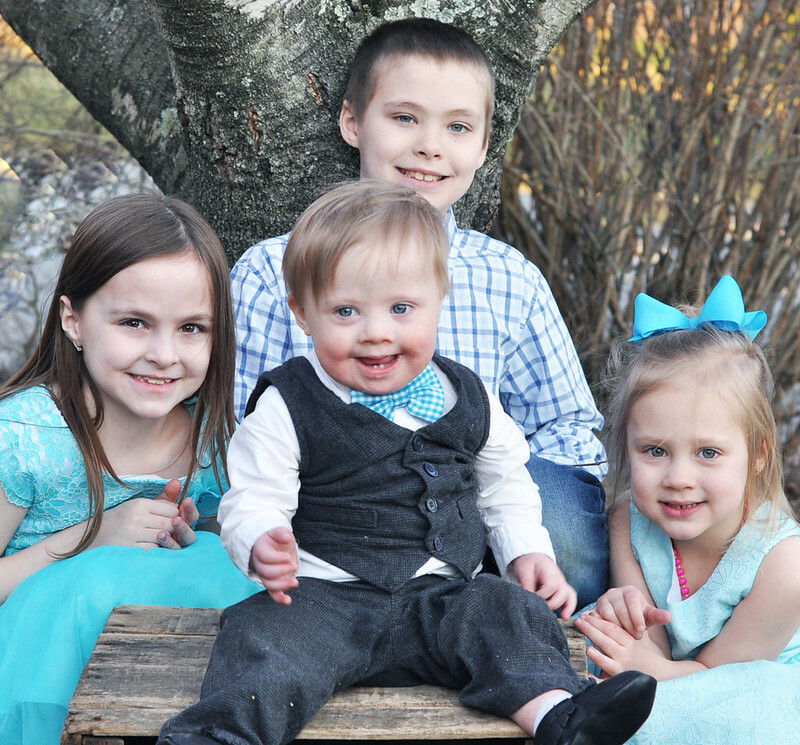 Sometimes I really can't believe I have four kids, but they make me feel like the luckiest person alive! 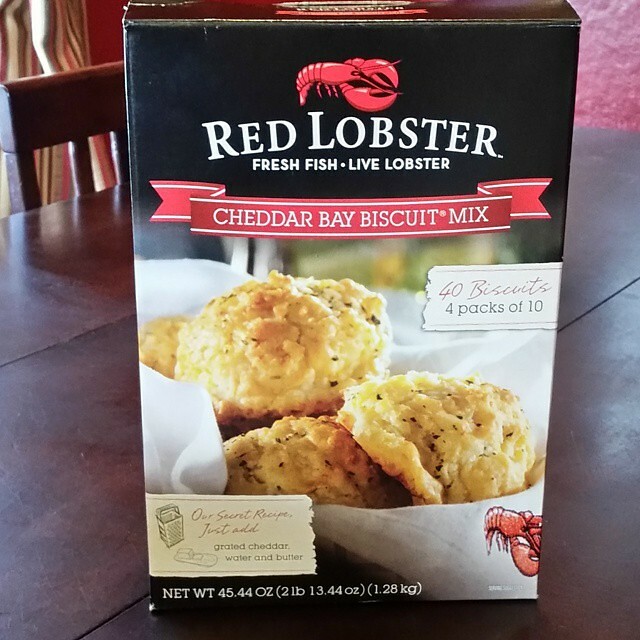 Red Lobster Cheddar Bay Biscuit Mix. It's my favorite part about Red Lobster, and now I can make them at home! I bought them in bulk at Costco, because, yes, I really do need four boxes! They are delicious! The beautiful Spring Weather. It's FINALLY in the sixties and seventies, and I have the furnace turned way down! Of course, we're getting a ton of rain, and tonight, we had a bit of a scare. We were happily talking about our day while eating dinner. There was a thunderstorm, but nothing of concern. In the middle of dinner, a police car raced by our house. Five seconds later, both of our cell phones went off. I never expected to see a Tornado Warning telling us to seek shelter immediately! We get the occasional tornado watch here (every few years), but never a warning! Our phones have never gone off with an alert like this before! We ran down to the basement, and attempted to keep the kids calm. We carried Liam down in his highchair, so he just kept eating and smiling. Lily was perfectly fine, and Dylan was scared, but acting brave. Lexie, however, completely lost it. She sat on the couch, sobbing and shaking, and clutched her hamster cage against her chest. I felt so bad for her! It was definitely scary, but everything was okay! Talk about crazy. I don't think I could handle living in a tornado-prone area! Anyway, before the storm, we enjoyed some 75 degree weather! It was our first time in summer clothes this year!!! Neutrogena naturals purifying makeup remover cleansing towelettes. I recently bought the regular Neutrogena makeup remover cleansing towelettes, and I was blown away by how well they worked! I wear waterproof eye makeup, and I used to use makeup remover, then wash my face, and there was still eye makeup left behind. I made the switch to those wipes and I will never go back to my old routine. They get off ALL the eye makeup with just a few gentle swipes! Right after I bought them, I found out I would be getting the Neutrogena Naturals VoxBox from Influenster. 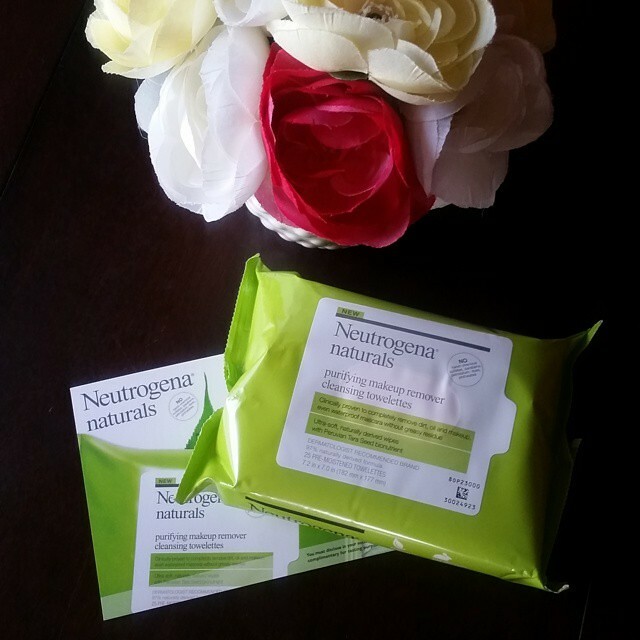 I was eager to try the Neutrogena naturals wipes, and they work just as well as the original ones I bought! I'm joining the Neutrogena #WipeForWater Movement! Every time you wash your face with water, up to 5 gallons of water go down the drain. Neutrogena naturals purifying makeup remover cleansing towelettes do a BETTER job without the use of water. I absolutely love them, and making the switch is a great way to celebrate Earth Month! *I received this product complimentary for testing purposes from Influenster. Finally, Easter! We had SUCH a great day! I hope you all have a wonderful weekend!!! See you next week! Happy birthday Stefanie! 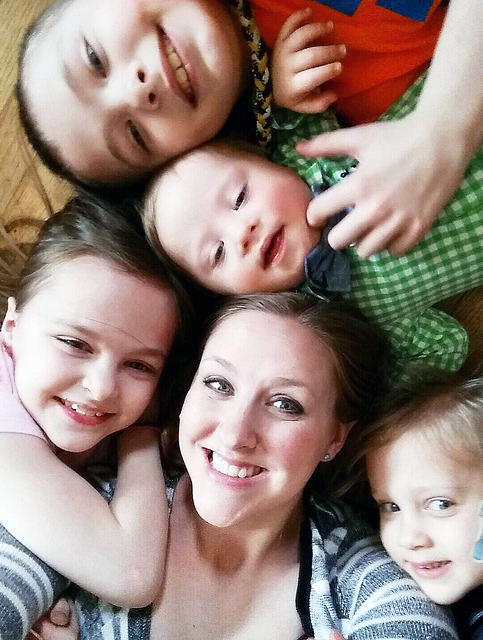 I love the picture of you and your four kiddos :) The tornado warning sounds absolutely scary. I don't know what we would do if we actually had a real one here because we don't have a basement! Thankfully, it was only a warning for you. We had one day here in the high 50's but yesterday it was back to 39 degrees. We haven't seen Spring yet here, but your post is a nice reminder that it's coming... Happy belated Easter! You can buy those biscuits in bulk? Definitely going to have to check that out. And I am loving those placemats! Adorable!! Oh, you sure can!!! Thank you, Costco! Awwww I just love that photo in number 2! 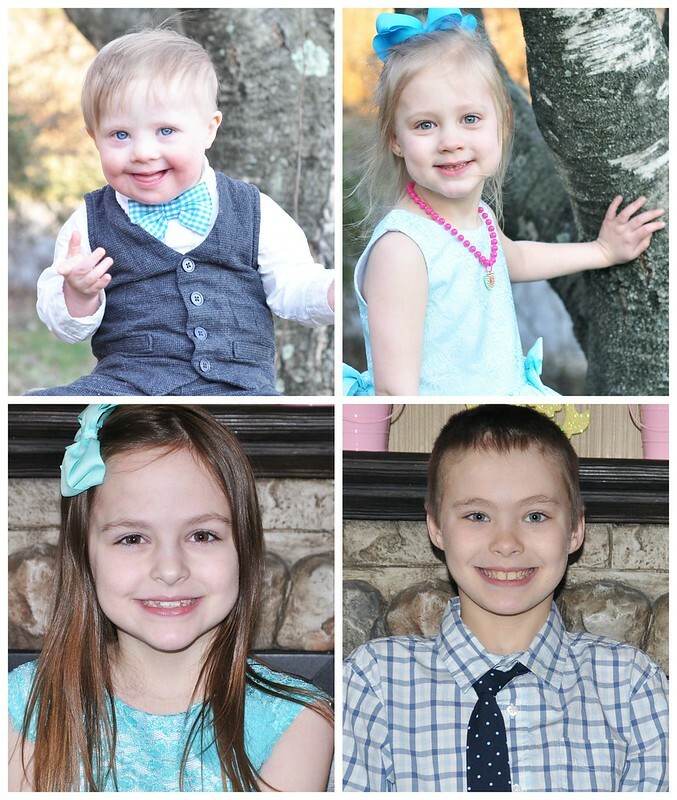 I am one of 4 kids, and seeing your 4 sweet kiddos always reminds me of my childhood. I am seriously going to have to give those Reb Lobster biscuits a try. That is one of my FAVORITE things about Red Lobster. Can't believe you can make it at home now! Yes, I love the biscuits, too. They taste just like the ones you get there! I love the Easter pics. Your kids are beautiful. I feel the same way about living other places. This is truly the first tornado in many, many years. That's why it was such a surprise. Luckily, it didn't touch down in our area! Red Lobster biscuit mix???? MIND. BLOWN. Oh, yeah, and it's just as good! I’ve got to get the Red Lobster biscuit mix!! I didn’t even know that was sold!! That beautiful Easter photos!! They taste just like the ones at the restaurant. SO good! I just saw those Red Lobster biscuits at Target tonight. I should have bought a box! Glad everyone is okay after the tornado scare! Definitely buy some! They are really good! Goodness your children are so beautiful! You take the best pictures always! I took a long break from blogging but am happy to be back. I hope you are well my friend! :) Love the picture of all of you! Thank you! Welcome back to blogging. I missed seeing your posts! How scary about the tornado warning! I get anxious if we even have a little bit of thunder. Haha! I would've been in the corner of your basement sobbing...I kid, I kid...but not really. ;) Oh and the picture of you with all four of your kids is adorable! :) There's so much love in that photo! Tornado warnings are no fun. We are in the season where we get them quite often where we live. 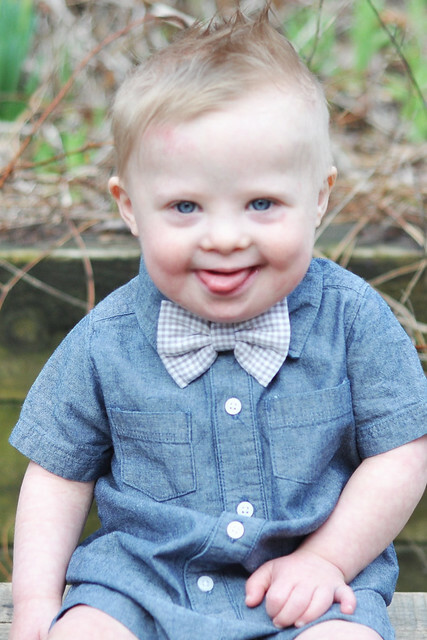 I love all of your Easter pictures!